Helen Szamuely was born 25-Jun-1950 and was not even into her three score years and ten. She was born in Moscow, the daughter of a Russian intellectual who opposed the style of the Communist Regime and located when Helen was 14, to London. Helen was educated in Hungary then briefly in Ghana, where her father Tibor taught at an ideological institute for a brief period in 1964, then later in the UK she obtained her first degree at Leeds University where she studied History and Russian gaining a First before reading for her D.Phil at the University of Oxford. Having survived breast cancer in 2005, although she had been unwell and her blog was interupted in December 2016 by her ill health, many of us were unaware that her ongoing heart condition was not only inoperable but as life threatening as it transpired to be on Wednesday 05-Apr-2017! 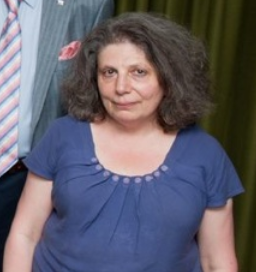 Dr. Helen Szamuely Headed the Research of the Bruges Group, one of the leading EUroSceptic think tanks, more formaly she was a researcher in the House of Lords. I first came into contact with Helen Szamuely as the co founder, with Dr. Richard North, of the excellent blog EUReferendum.com, Richard I have known for many years. They worked together for several years before she chose to blog independently on her own site ‘Your Freedom and Ours‘ (how long the blog will remain on the internet I have no idea, but it is well worth reading). Helen was a founder member of the Anti Fedralist League and involved in the founding of Ukip, Helen’s credentials as a EUroSceptic were unimpeachable. Helen has broadcast regularly, particularly on the BBC Russian Service, was an editor of the Conservative History Journal Helen was also published in a wide number of magazines, journals and various media including the Social Affairs Forum, the Salisbury Review, Standpoint, the New Culture Forum and others. The last time I wrote a post with this title, my co-editor and co-founder of EUReferendum.com had just gone into hospital for treatment for cancer. That was in February 2005, nearly twelve years ago, and I’m glad to say that this indomitable lady threw off this disease and survived. Sadly though, I learned yesterday that an entirely different condition had laid Helen low and during the night she had passed away peacefully in her sleep. I’ve known Helen more than 20 years and it is fair to say that I’ve never known anyone like her. And that said, I’ve spent the best part of yesterday failing to write an obituary which comes anywhere near describing this amazing woman. It would be hard in any case for me to improve on Pete’s piece, crafted with his usual passion and skill. But there is someone who can do better, and that’s Helen herself who in her own words during a rare public speaking appearance in 2007, defined her strategy and philosophy for getting us out of the EU. Let that stand as her epitaph, her own words, her own aspirations. You will never see anything like it again. I woke up to the unhappy news that writer, historian and long time family friend Helen Szamuely has died. Helen was a massively influential part of the early eurosceptic movement long before Ukip became a household name. One of the original Brexiteers. She was a hugely respected thinker on the right and a well known voice in conservative circles. That though does not even begin to define her. She was so much more. She was many things to many people and her list of accomplishments is rich and varied. Just Google her. Helen was considered a towering intellect by just about everybody who ever met her. She suffered no fools. If she gave you the time of day you took it as a compliment. To this day I have yet to meet a more difficult and contrarian woman. I doubt I ever will. There were none more merciless when slapping down stupidity – and it was a joy to watch – except for those times when you were on the receiving end of it – which in my case was pretty often. Helen was very much a no-nonsense person and at times very difficult to like, but all the same I enjoyed spending time with her. She was great company and I loved her wicked sense of humour. She was hugely influential in my formative years and her blogging on NGO and UN corruption shaped my worldview as it stands today. I considered her a necessary corrective since she was one who never hesitated to challenge me when I got things wrong. It is through Helen that I have a comprehensive knowledge of London. I would meet her for afternoons out on weekends to go browsing the bookshops and cafes. I can only consider myself even halfway cultured thanks to my introduction to the many museums and art galleries. Helen was also a great friend to my father and at one time co-editor of Eureferendum. For the most part she was hugely supportive and a very useful contact to have. She knew absolutely everybody in the eurosceptic world. Helen was a private person who didn’t share very much of her past – not with me anyways. I always wanted to know more but considered it impolite to ask. She was all business. She lived by a code of her own and always to her own timetable. There are few more independent in mind and spirit. She had little time for social climbers or Toryboys and she had no patience whatsoever. I liked that about her. There was no pretentiousness at all. She refined deliberate rudeness to an art form (I learned from the best). I have known her just get up in meetings and walk out without any explanation at all. It never stopped being funny. One of God’s own prototypes. I fell out with Helen a few times. It’s been a year since I last spoke to her. Sometimes her discourteous assaults were a little rich even for my blood. I never stopped respecting her though and I do miss her. At every significant crossroads in my life she has been there. For all that Helen could be lofty she was never dismissive and despite her protestations to the contrary she did care. She did at least listen to you even if she thought you were being stupid. A lot of people in this life are dismissive because they think they are intellectually superior. Helen, though, she just was intellectually superior. It was unarguable. She could have built herself a second home with all the books she owned and I’m pretty sure she’d read all of them. There are plenty more things one could say about Helen but I’m sure others will say them better than I can. She had as many friends online as in real life. Her blogs have millions of hits and she has influenced thousands of people. It has been a privilege to know her. People like that change the world – and Helen very much did. I have just seen your request for additional information on Helen Szamuely. I was also saddened to hear of her death. She had written me a very helpful email in connection with her time in Ghana (based on an obviously meticulously kept diary), since I am researching the Ideological Institute where her father Tibor briefly taught in 1964. Anyway, the information I think worth sharing is that there is a recorded interview with Helen at the Imperial War Museum made in the late 1990s — the reference is 18568/2, and it can be purchased from the IWM as a download or a CD. I take the liberty of ending with my condolences to her family and her friends who know far better than I just howmuch we owe Dr. Helen Szamuely. PS. If anyone can supply additional relevant details of Helen Szamuely I would appreciate it, or anyone who feels I have missed any detail that should be included, please contact me for it to be added.